Getting fans is one thing; retaining them is another and watching those numbers fall after all your hard work can be quite down-heartening. Many companies find an opening growth spurt with their initial social media drive. However, this often peaks and is followed by a fall in page Likes. So, how do you limit this – here are a few tips. Many businesses initially got fans to Like their pages through a raft of incentives – perhaps a discount, free download or some form of entertainment? However, many businesses lose that hunger and are no longer offering the benefits or perks they originally did. Let your fans know you appreciate them with monthly benefits and offers which can only be accessed by page fans. We’ve previously written about the trend of buying Facebook Likes. Most of these likes are held by false, or under empty accounts and so have no real benefit. Facebook is currently using software to detect and delete these fake accounts, which may also result in a fall in Likes on your page. If you have bought Fake Likes and have seen a drop, then focus on building real fans from this moment onwards. This can be most easily done by pin-pointing Facebook Ads to specific demographics – though it does involve a down-payment. Add interesting content and fan-gated competitions and you have the makings of a good strategy. It is possible to kill a man with a thousand paper cuts and you can easily try fans patience with a few dozen poor posts. Quality media that is preferably created by you or carefully sourced elsewhere is a great way to get fans to stick around. Reddit and Digg offer a lot of fast and easy potential for interesting content in specific niches. Follow this up with engaging and interactive questions and get fans involved. Of course, throw your own opinion into the mix – though noting too controversial – and give fans the chance to voice. Wise use of content can be one of the very best ways to ensure that fans remain fans and also that you create a buzz around your page. An important thing to remember with Facebook is less is more. Beware of over posting and look to ensure each post is of maximum quality. Most of us at this stage have an in-built trash filter that comes into effect when we see too much of a bad thing. Beware of this and limit posts to a reasonable amount. People don’t want overbearing or obnoxious all too frequent updates. Remember it’s a thin line! Try and stand out a little. It’s all too easy to be sucked into the latest trend and re-post the same things everyone else in your industry is re-posting. Don’t be afraid to be a little different, a little funny and a little innovative. People appreciate that little bit of spice that makes you stand out and foremost shows that there are a bunch of human beings behind the marketing effort laughing their heads off at a singing cat and want to simply share it with them. 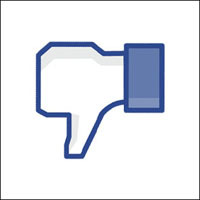 Preventing a fall in Facebook Likes takes time, effort and a view towards the long term. It also involves care, consideration and an incline towards quality. Taking these assets on board makes for not only more Likes but also better Likes and better results from social media efforts. Struggling with your social media management ? Get in touch with us for a social media review.